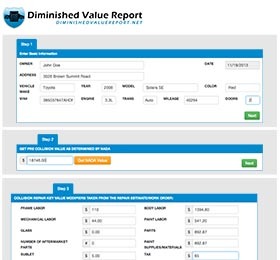 Use our Diminished Value Quick Calculator to determine your loss instantly! 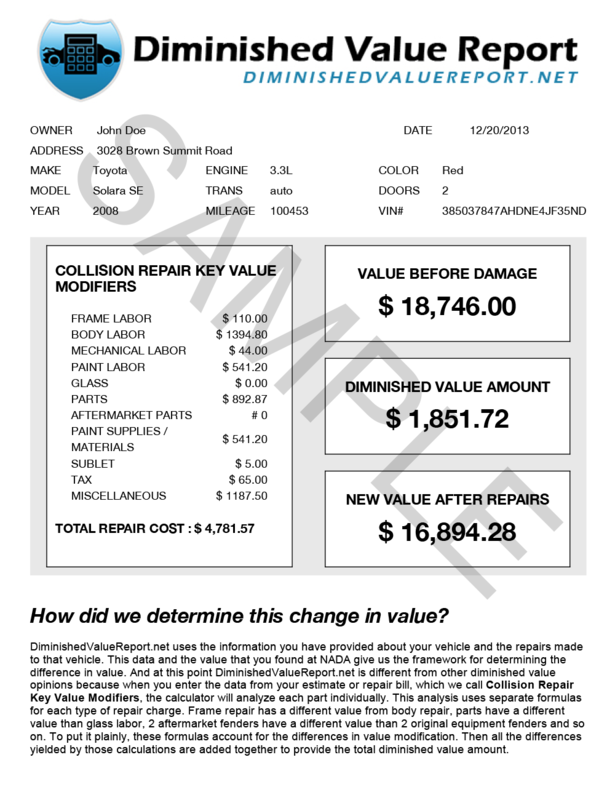 With the information provided by your repair estimate you will be able to see your exact loss of inherent and parts related value displayed on the screen. If you decide to not “leave the money on the table” you can choose from the two options below to begin to claim your loss! 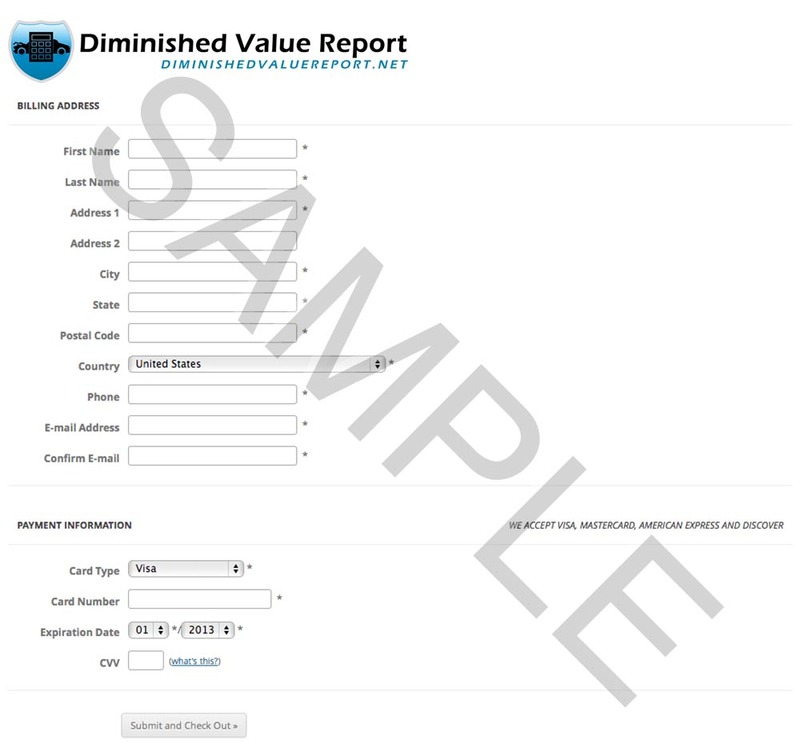 Click here to learn more about diminished value! 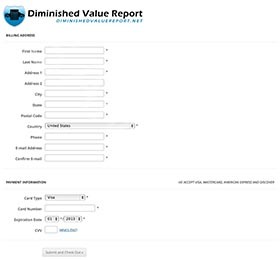 To make a Diminished Value Claim you will need to document your loss! $39 Option 1 will provide an Instant Online Report, a Sample Letter and the Claim Your Cash procedure. 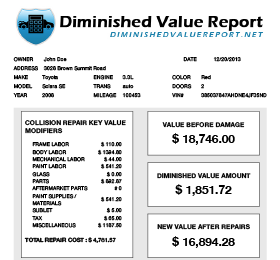 Our Online Report will accurately show your inherent and parts related diminished value and the estimate used to repair your vehicle. The Sample Letter will provide you a template for demanding payment for your loss. And the Claim Your Cash procedure will guide you through all the necessary steps to getting paid! Click here for more information about how our calculator works! This is the hands-free approach to making a diminished value claim! We will calculate your inherent and parts related diminished value, prepare a professional report, write your collection letter, and give you a step by step guide to collecting your cash! With this option you will need to provide us with a copy of your estimate and your contact information so we may send you the package. 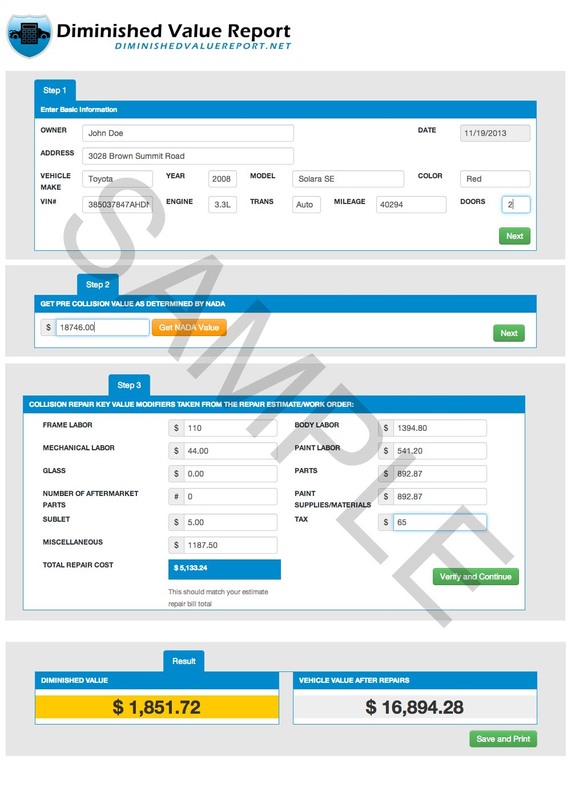 Order Your Instant Online Report for $39 Includes Sample Letter and Claim Your Cash procedure! For $89 We Prepare Your Report, Write your Letter and Provide the Claim Your Cash procedure! Getting Started is as easy as 1 2 3 - - - - Click on the form to enlarge image! We'll need your information and a payment. Input your estimate to the calculator. Save as pdf then Print! Option 1 will prepare this report.